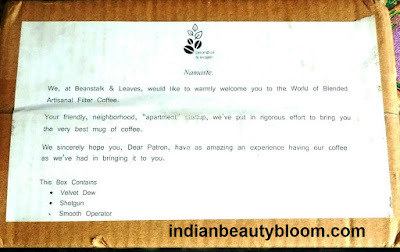 Coffee is the hot favorite of many including mine , i have tried coffee from various brands , recently got some new flavors from a brand beanstalknleaves , so would like to share some facts about it . Beanstalknleaves is a brand that offers three exciting flavors of coffee which is quite different from the regular ones . My kids were too excited to try these so i tried them one by one . 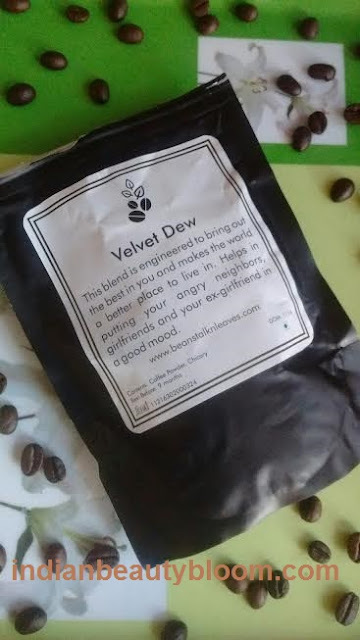 The first flavor we tried is Velvet Dew Coffee Powder . 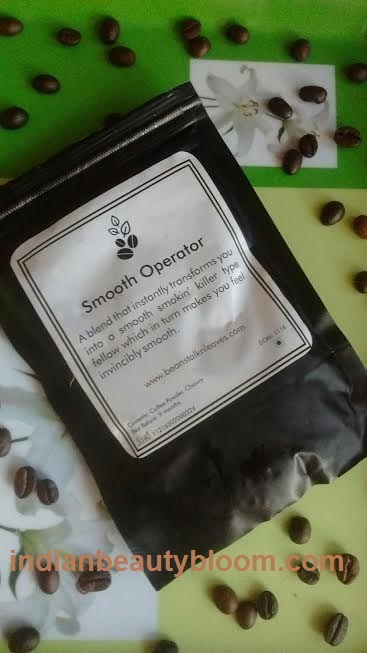 This is a premium blended coffee powder with coffee and chicory in it . Its very mild . 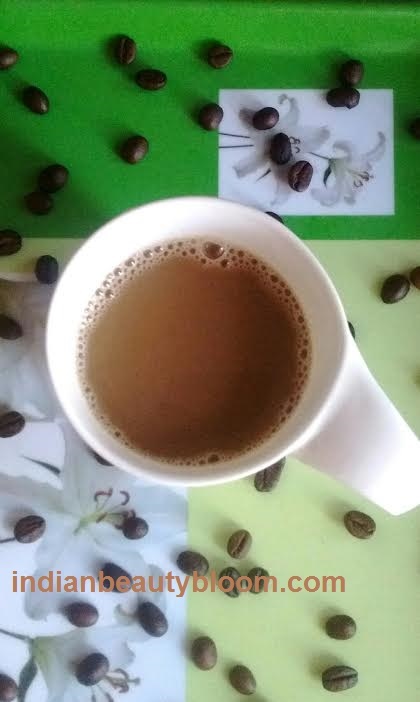 Its not an instant coffee , one needs to brew it for 3-4 minutes to get the perfect taste . Price –Rs 355 for 250 gms . 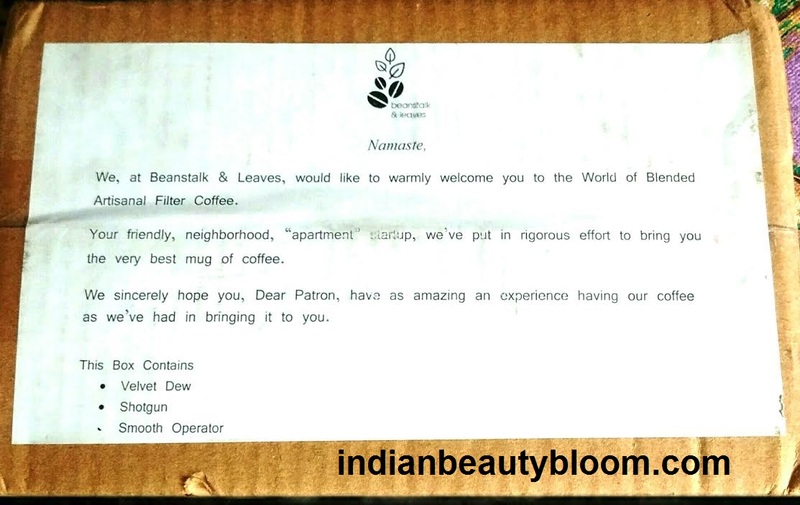 Its a pure coffee powder which also needs to be brewed for 3-4 minutes . Price Rs 295 for 250 gms . This has a stronger taste then Velvet Dew . 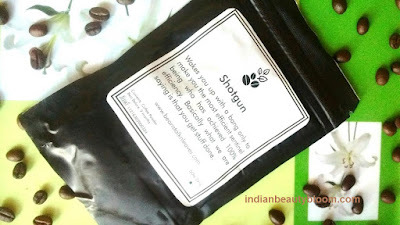 Its also a pure coffee powder with no chicory in it and brewing time is again 3-4 minutes . I have not tried this yet but seems taste is similar with Smooth Operator . 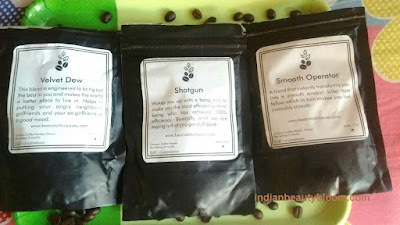 These are not Instant Coffee and one should not use Boiling water to prepare it but they should be added in warm water and brewed for 3-4 minutes . So after enjoying these exciting flavors would surely recommend others to try it . One can buy these from Amazon.in . 1. The flavor Velvet Dew has chicory in it , chicory has many medicinal benefits like it improves appetite , good for stomach , liver etc . 2.One can easily buy these coffee flavors from amazon.in . 4. 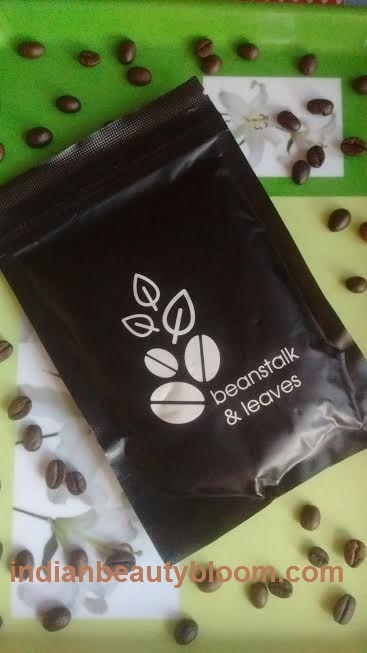 Product packaging is good , they come in a zip lock packaging which is excellent as it helps to preserve aroma and freshness of the product. 5. One can enjoy three different flavors according to their taste . 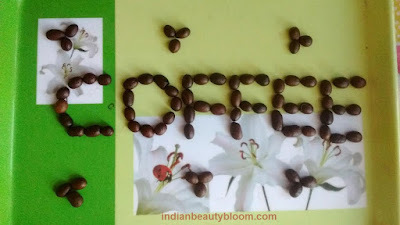 6.Relieves headaches & tiredness and one feels fresh after drinking these coffee.